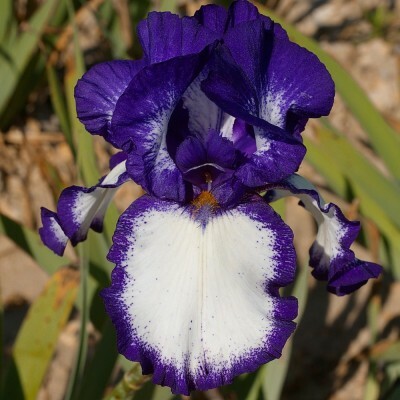 This stunning plicata, child of 'Honky Tonk Blues', has immense flowers (18 cm) with a pure white background and a precise purple-blue border. Beards are blue. 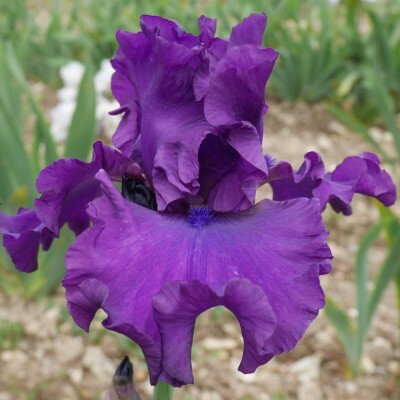 It flowers generously and grows vigorously. 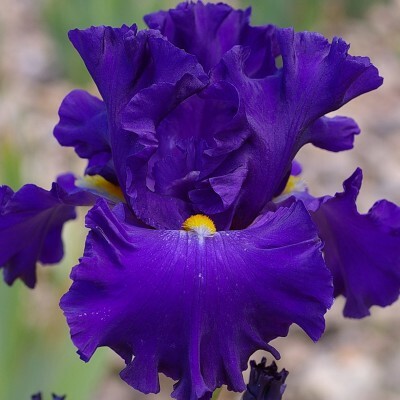 A majestic and vivid purple, strongly ruffled with an outstanding feature: golden yellow beards (The falls are slightly lighter around the beards). Great for flower displays, long flowering period. We like "Splashacata" for its strong personality. 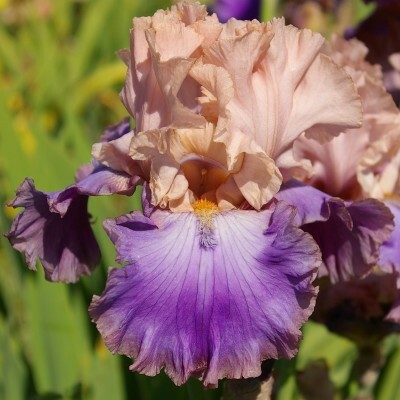 It shows pale blue-lavender standards and white falls heavily peppered with rich purple-violet dots and speckles. White beards tipped yellow. 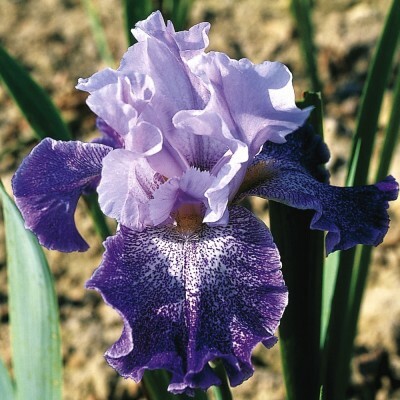 Vigorous novelty that produces regularly 8 to 10 ruffled flowers per stalk.